From the persistence of gender-stereotypes, the structural change in important sectors of female employment to the opportunities for social innovation. “Digitalization is for women what the pill was in the 1960s: it opens up all sorts of opportunities”, said top manager Sylvia Coutinho, Brazilian head of the UBS bank, at the Global Summit of Women in Warsaw. The potential for more gender equality brought on by digital change is one of the few women-specific topics being discussed in public debate on digitization. Otherwise hardly anything is being said about the gender-specific impact. It is a “blind spot” – as the title of a recent conference in Berlin suggested. But a fact-based, substantiated debate is sorely needed. This article offers some thoughts on the matter. Generally, public debate on digitalization focuses primarily on technology and “industry 4.0”. However, 70% of Austrian employees work in the service sector, so by focusing on industry, the scope of the discussion is being very limited. This is especially true when it comes to employment opportunities for women: in Austria, only 12% of women are employed in the industrial sector (compared to 38% of men). 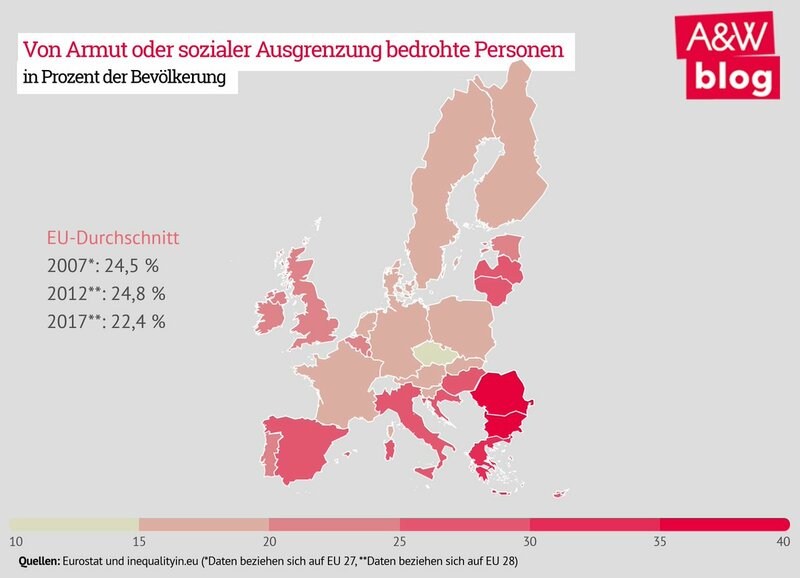 Furthermore, employees in the service sector are also strongly affected by digitalization, as the “Good Work Index 2016” of the German Federation Trade Unions shows. These findings for Germany could, most likely, also be applied to Austria. Firstly, in this article I would like to examine how different scenarios in digitalization affect employment opportunities for women. Then I will focus on some important areas of female employment within the service sector and describe the emerging structural changes. Finally, I will look at policy options. Employment Scenarios – a “Tsunami” on the Labor Market? Many employment scenarios in the field of digitalization point to a downright eradication of jobs. Forecasts on huge job losses, as the multicultural study by Osborne and Frey predict for the USA, are also to be found in the Austrian debate. A recent study by the consulting company A.T. Kearney “Value Added 4.0 – Austria’s Industry in the Future” estimates that 44% of jobs are in danger. When these forecasts differentiate between the sexes – which is rarely the case – women are significantly more affected by redundancies. An international study by the World Economic Forum forecasts that in the period 2015 to 2020 for every new job created for men, three will be lost, while for women the ratio is one to five! In other scenarios, redundancies are more moderate and considered to be more realistic. The study by Bonin et al. (2015) expects a loss of 12% of jobs (women and men) in Germany, which is considerably more optimistic but the forecast of redundancies remains high. In any case, caution is required – as many experts point out- when assessing the technical potential for automation, since there are many factors that can influence the implementation, e.g. the way in which technologies are actually used, the economic, social and labour policy framework, etc. Furthermore, historical empirical evidence suggests something different. Technological change during the 20th century has always led, in the long run, to higher employment rates – but usually accompanied by a reduction of working hours per employee (see also the article of Mesch and the presentation of Grabka). With regards to the development of women’s employment, non-technology-driven factors have been and remain more important. Firstly, the trend that has been continuing for decades where more and more women engage in gainful employment is based on long-term changes in gender relations. Secondly, sectors with a large share of female employees, such as social services, are extremely labour-intensive. The sustained growth in these sectors reflects society’s ever-increasing need for these services. However, changes do take place. In fact, structural changes are already fully under way, if you take into consideration developments within certain branches. Fact is – and this is new – that important areas within the service sector which have been continuously growing are suddenly under pressure. Digitalization is not the only reason for this, but in conjunction with other developments such as market liberalization and globalization, it leads to redundancies. In the banking sector, where 54% of the workforce is female, employment in Austria has fallen by 5-7% since the beginning of the financial and economic crisis 2008, while it has risen in the overall economy. One of the reasons for this is the increase in online and mobile banking, which leads to a lower demand for counter staff. Since 2000, there has also been a significant reduction in the number of branch offices. In medium term, this will further accelerate job losses. Furthermore, the part–time ratio for women in the sector “Finances and Insurance Activities” has been rising for years and now amounts to 43 %. Since this is one of the few large sectors that offer well-paid, qualified jobs for a large number of women, the question arises where alternative, equivalent employment can be found. Furthermore, the effect of changes in job profiles are widely unknown, e.g. the change in skill requirements resulting from online and video consulting, or the potential automatization of highly qualified tasks such as risk management, which, as works councils report, will increasingly focus on computer driven analysis. It is obvious that the largest area of female employment within the private sector – retail – is changing. Although there is yet no significant decline in employment in the stationary retail sector, the long-term effects of increasing online retail are possibly yet to come, according to a recent analysis in Vienna. While redundancies in retail can still be compensated by population growth, the wholesale and automotive trades are likely to continue to lose ground over the next 15 years. The research institute Forba even forecasts a slight increase in retail employment in Vienna, due to the fact that population growth in Vienna is especially high, however, less optimistic developments in the rest of Austria can be expected. While this sector was an important stabilizing factor for employment after the start of the economic and financial crisis in 2008 it’s development in the future is uncertain. Furthermore, the qualification requirements in traditional retail are changing due to the increase in online retail. 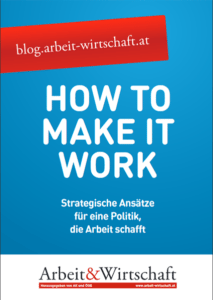 A study of the German trade union Verdi asked experts and members of the works council about their expectations. According to the study, this development is heading in two directions: on the one hand towards highly standardized operations, e.g. in fashion or food retail; on the other, towards highly specialised tasks, e.g. in premium sales or in the design of multi-channel sales systems. There are opportunities to upgrade qualifications, however there is also the risk that there will be a lowering of qualifications for employees. Furthermore, the trend towards part-time employment continues. The areas in which employers’ representatives see a need for action tell us a great deal. Rainer Will, head of the Austrian Trade Association, is demanding a new model for apprenticeships in e-commerce. “In the future young people in retail will not want to just stack shelves. They must also be able to work in web-shops and implement payment systems.” One wonders, if he also sees women working in these more highly qualified positions? 3. The ICT-sector as a new source of hope? On the other hand, the ICT sector is unanimously seen as a source of hope for new, qualified employment for women. For example, the European Parliament’s report on “Gender Equality and Empowering Women in the Digital Age” focuses on the high growth potential of the ICT sector and the job opportunities it can offer women. However, as is emphasized in the report, this can only happen if a wide range of measures, on both a political and company level, are taken to make this sector, which is highly gender segregated throughout Europe, accessible to women. For example, in Austria the proportion of women employed in ICT occupations amounted to only to 10% and 12% in the years 2011 to 2013 respectively. Here, as well as in other technical professions, only in a very small number of enterprises are women better represented and general structural improvements are not yet in sight. However, what is clearly obvious is that technological change could be used to improve the chances of women in the ICT sector as well as in other technical fields. Companies could benefit because a diverse workforce – not just male employees, but also women as well as people with different cultural backgrounds – provide different perspectives and thus increase the potential for innovation. In addition, the so-called “soft skills”, such as communicative and social competences, are gaining importance at all levels of technical professions, even to the level of leadership (buzzword: cooperative management style) because working in teams and networked structures are becoming commonplace. But to emphasize the “soft skills” of women can be counter-productive. In turn “hard skills” such as technical expertise or leadership requirements such as assertiveness, risk-tolerance and decisiveness, which are equally necessary for management positions, may then only be attributed to men. So what can be done? Experience has shown that in addition to increasing the number of girls and women in technical training at all levels, changes in company culture towards promoting women is essential for creating real job opportunities. This includes taking on young women in technical apprenticeships, offering working hours that are compatible with child-care responsibilities and hiring female experts and female managers. If companies do not put these active gender equality measures into practice, digitalization will have little effect on job opportunities for women. 4. The social services as a growth sector …. Quite different from the rather sobering analysis of employment opportunities in the banking and ICT sector, the growth potential in the female-dominated social services sector, is brighter. How job opportunities and, above all, job-quality will develop in this area will depend on political decision-making. However, there have been clearly some positive effects on employment, due to investments in this sector, as Sybille Pirklbauer and Adi Buxbaum show in their recently published blog article “Elementary Education: Investments pay off“: Federal funding of additional child-care places lead to the considerable increase of 7,000 employees in child-care within three years (2011/12 to 2014/15). Additionally, there are effects on employment because mothers with children under 6 are able to take on new jobs or increase their working hours because of better child-care facilities. The mobile care sector is a sector in which women almost exclusively work – with a growing number of jobs on offer. Digitalization affects these as well. For many nurses the smart-phone has become an indispensable tool for their work, e.g. to plan their shifts. In Austria, it is also used for monitoring and checking on staff – a fact that many employees feel is encumbering. In some organisations, there is software provided that produces an acoustic signal 10 minutes and again 3 minutes before the end of a given assignment with a client, which many nurses find interrupts the care process. In addition, if a nurse stays longer than assigned, they are required to immediately enter the reason into the software. It is not surprising, that nursing staff see ICT as a stress factor. However, ICT technology can be used very differently: to facilitate and improve working conditions. A Dutch NGO demonstrates this in a particularly impressive way. “Buurtzorg” (in English: “Care in the neighbourhood”) was founded 10 years ago, and is a large provider of mobile care with currently 10,000 employees. The organisation consists of 850 teams of max. 12 highly qualified, i.e. registered nurses (part of them with a bachelor degree). The teams work independently, planning and implementing the whole process of care from ascertaining what care is needed to deciding on further training. How much time is needed for a client is autonomously decided by the nurse, there is no monitoring of working hours. There is no middle management, just a central back office which is responsible for administration (e.g. payroll accounting) and two CEOs. As part of this innovative organisational concept a very user-friendly ICT-solution was developed. The ICT-solution does not only lead to higher efficiency but it is vital in supporting the care-process. Each staff member is connected to the organisational platform, the buurtzorgweb, via their own tablet. The web is used to organise every day administrative tasks such as shifts. Furthermore, through the buurtzorgweb every nurse has access to all the information that is relevant for their work, e.g. client information or documentation of the care process. The latter is immediately taken care of after the visit with a client, so that all nurses who deal with the client are permanently up to speed and redundancies can be avoided. Furthermore, the buurtzorgweb is used intensively by the nurses as a means to communicate with the CEOs, the back office, and other staff, as well as enabling the nurses to communicate with doctors. For instance, if a nurse should have a question about a certain treatment they can send a picture of the wound to the family physician, who can then respond accordingly and, if necessary, also mail a prescription. Furthermore, the buurtuorgweb is also a forum for sharing innovations. An example being when a new approach to “fall prevention” was developed in cooperation with ergotherapists in one of the teams it was successfully shared throughout the organisation and was adopted by many other teams. Client and work satisfaction are equally high in Buurtzorg. In 2015 Buurtzorg was awarded “Best employers of the Netherlands” within a certain category for the 5th time. In surveys on client satisfaction Buurtzorg gets one of the best assessments. It is a wonderful example of how digitalization can improve working conditions and the quality of services if the technologies are imbedded in organisational and social innovation. 5. New chances for the reconciliation of work and family live? Apart from job opportunities for women in the ICT-sector some hope that digitalization will help with the reconciliation of work and family life. Work flexibility is considered crucial offering women with children more opportunities in the labour market. Especially the advantages of teleworking (definition from 6th European Working Survey) are being widely discussed – even though a survey from Germany shows that only 6% of parents with underage children work (partially) from home, although a quarter of parents would be interested in doing so. Parents who both work full-time are even more interested. Enterprises themselves are the main obstacle to the spread of working from home solutions, because a culture of having the staff in the office premises prevails. The reasons why employees would like to work from home is the wish for increased autonomy with regards to working hours, as well as, less time spent travelling between home and the workplace and more flexibility in the organisation of work and every-day life. If working hours are limited because of child- care responsibilities, additional hours can be worked at other times of the day. This chance of better reconciliation also has risks: they can also lead to longer working hours because only productive working time is taken into account. Furthermore, members of the works councils warn of the danger of isolation from the enterprise and one’s colleagues. 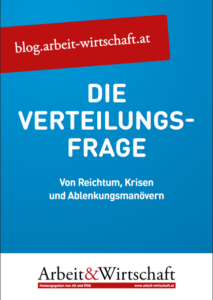 Some empirical evidence on digitalization and the reconciliation of work and family life is provided by the German Federation of Trade Unions’ (DGB) “Good Work Index 2016”: 60% of the respondents, who are affected by digitalization in their job and have child-care responsibilities, have not seen any change with regard to reconciliation. A considerable proportion of 27% say digitalization has had a positive impact while 11% have experienced a negative impact. Interestingly, there is a strong connection with overall job quality, i.e. if the overall quality is low, negative effects dominate. If it is high, the opposite is the case. However, better reconciliation does not reduce stress – quite the contrary: among those respondents who saw an improvement in reconciliation, the proportion of employees who work often or very often under stress amounts to 73% and noticeably exceeds the average of 55%. New technologies therefore do not automatically lead to a better reconciliation of work and family life; they have to be smartly implemented at a company level. At the same time the expansion of social infrastructure (child-care, care for the elderly) must be further promoted. And ultimately, a much more balanced distribution of paid and unpaid work between men and women is needed. Otherwise, measures like working from home opportunities may increase the pressure on women to meet the different demands without help. Digital change does not make the subject of the distribution of paid and unpaid working hours between sexes obsolete. Times of change provide chances for breaking down traditional gender roles and creating new gender arrangements. Apart from the firm gender segregation in sectors and occupations, the uneven distribution of working hours is the most significant gender characteristic of the labour market in Austria: on the one hand, there is a male dominated culture of working full-time with regular overtime, on the other, there is a female-dominated culture of reduced working hours without monetary compensation by working part-time to enable one to do the housework and take care of children and the elderly. Currently, half of all women in Austria work part-time, for women with children under 15 years the proportion is 75%. This leads to poorer career opportunities, inadequate income during one’s working life, and consequently low pension payments later in retirement. A more equal distribution of working hours is not unrealistic as international examples show: in Sweden, full-time work comprises fewer hours and significantly more women work full-time (64%, Eurostat). Also, the participation-rate of women in the labour market is higher than in Austria (74 %, Austria 67%, Eurostat 2015). Overall the Time Gender Gap in Sweden is only three hours, whereas in Austria it is 8 hours (Freidl et al). A strong argument for closing the Gender Time Gap is that it is in line with what employees want. Most (male) employees in full-time work would on average like to work less hours per week, while most (female) part-time employees on average would like to increase their working hours. With the new child-care-allowance-account (“Kinderbetreuungsgeldkonto”), which starts in March 2017, new incentives for distributing child-care leave equally between parents will be introduced. Fathers will be able to take up to a month of paid leave soon after the birth and a special bonus is awarded to parents who distribute the time of the allowance more or less equally, which means at least 40:60. In Germany, another new model is being discussed: the so-called family working hours (“Familienarbeitszeit“). The idea is that parents of small children who work both part-time between 28 and 36 hours get a grant to compensate part of the pay loss during that period. Furthermore, the whole existing array of models for reducing working hours should be used more effectively: fighting the overtime culture by charging employers an extra Euro for each hour of overtime, making options between a pay rise or reduced working hours available to employees (Freizeitoption) or models that compensate (for a limited time) the loss of income when working hours are reduced (Solidaritätsprämie, Kurzarbeit). And finally: from a gender equality point of view a general reduction of weekly working hours should not be overlooked. This is a translation fo the recently published artice in No. 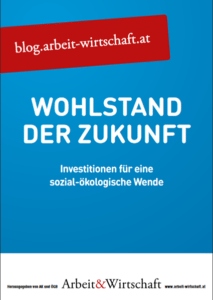 4/2016 of „WISO“ – Wirtschafts- und Sozialpolitische Zeitschrift“. A slightly shortend version in German you find on this blog here.